Petronas painting specifications for offshore and onshore facilities comprises some 22 various coating systems including coating systems for tank internals too. 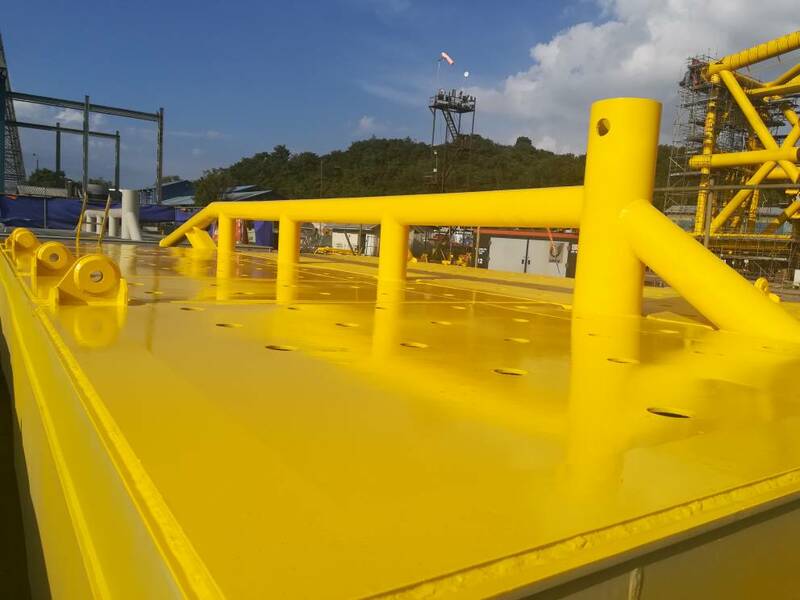 Kossan Paint, Transocean's member company for Malaysia had started the project in 2015 with identifying the most suitable Transocean products for the Petronas specifications. This exercise resulted in the introduction of two new products in the Transocean range. First is Transpoxy Glascote DTM, a 90% volume solids glassflake filled heavy duty epoxy meant to be used on Deck floors subjected to heavy duty traffic (specification 3) as well as Splashzone areas (specification 4). Transpoxy Glascote DTM was subjected to (and passed) a wide array of stringent testing including Cathodic disbonding, Cyclic corrosion testing and Water immersion. Transurethane Finish PUF 3060 is a glossy, high solids PU finish which is build on the same platform as Transurethane Shield 3.45S, the approved product in the Shell systems. Whereas the Transurethane Shield has a semi-gloss texture, Transurethane Finish PUF 3060 has a glossy finish. The product was further enhanced to give outstanding weathering resistance and as such passed all required weathering testing such as Xenon-ARC exposure and cyclic salt fog/ UV exposure with flying colours. All testing and application of paints was carried out by Sirim Testing Institute. 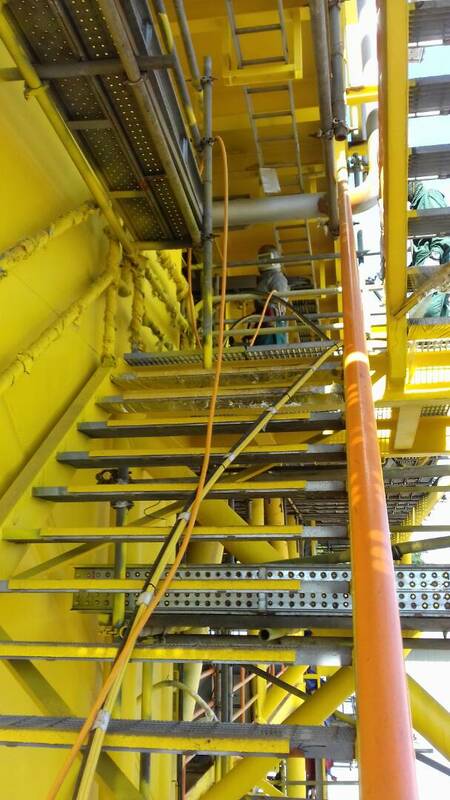 Another well known Transocean product that was approved was Transpoxy Masterbond BT for new steel constructions as well as for maintenance projects where it was proved to be a surface tolerant coating.